HAMISH MacGowan has done a couple of interesting things with his 2012 Angus the Bull Cabernet Sauvignon: he's made this one from fruit sourced for the first time purely from Central Victoria, and he's lowered the alcohol content by almost 1.5%. Yet while tweaking this vintage to obvious advantage, he's not taken away from the wine's primary mission of the past ten years or so, and which has been to provide an absolutely ideal accompaniment to prime beef. But rather he's given it more poise, vibrancy and freshness – as he says, "a little more sophistication." And he stresses that it's not a huge and sudden leap in style, but something he and his team have been working towards over the past few years. "Lowering the alcohol (to 14%) is both a considered change in my winemaking philosophy, and an anticipation of where I believe the consumer's preference is trending," he says. "Blending 58% Central Victoria fruit, 28% Goulburn Valley and 14% from the Strathbogie Ranges has given a wine with lovely varietal ripe black fruits, rich dark chocolate and vanillin smoky aromas," Hamish adds. "And a full-bodied palate characterised by firm tannins and a savoury, masculine finish. I'd say it's the most food-friendly example Angus we've made to date." And most importantly, still that perfect match with prime beef – particularly at $19.95. ONE TO NOTE: WE don't usually think about wine as something to play around with in terms of mixing with other beverages to come up with in cocktail creations. 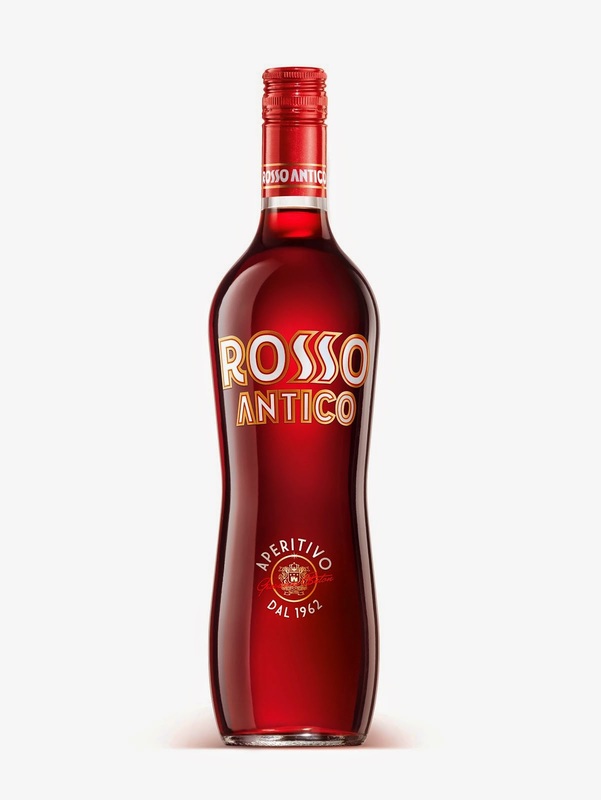 But Italy's Rosso Antico cocktail base is in fact a dessert wine made from five different wine types infused with 32 selected herbs. And with its bitter-sweet flavour it not only makes for a very agreeable drop on its own served chilled on ice with a slice of lemon, but provides a nice base for a wide range of cocktails when mixed with everything from white or dark rum, to vodka, gin, fresh fruit juices and soda water. Pay $22 and start mixing – and sharing ideas with fellow cocktail shakers. SHOWING a little more sophistication, but still perfect with prime beef. 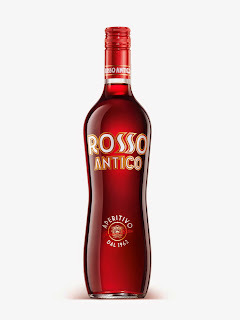 NICE on its own, or a good base for a wide range of cocktail ideas. FORTUNATE are they who've got hold of a bottle or two of Best's Great Western Bin 0 Shiraz, a wine that's been made since the late 1800s but of which today only 800 cases are still made on average each year. And although we know Henry Best planted his first Shiraz vines at Great Western, between Stawell and Ararat in Victoria, in 1867 the actual year he created his first Bin O is uncertain. But what we do know is that since the Thompson family acquired the Best's Great Western vineyards and winery in 1920, they've remained extraordinarily faithful "custodians" to Henry Best's creation. Now headed by 5th generation Ben Thompson, the family's recently released the 2012 Best's Bin 0 Shiraz that was made from hand-selected fruit sorted and fermented in small batches, so maintaining its reputation as an undisputed icon of the Great Western Shiraz style, and internationally acclaimed for years. This 2012 has deliciously spicy dark fruit flavours and a great balance of acidity and smooth tannins for wonderfully enjoyable drinking now, while having the potential to develop beautifully over 15 years or more in the bottle. With just-800 cases available, it's well worth the $85 asking price to enjoy with a slow roasted shoulder of lamb. ONE TO NOTE: THE Adelaide Hills has a well-deserved reputation as home to some of Australia's best Sauvignon Blanc, and a 2013 Howard Vineyard Picnic label is typical of just how good the variety from this region can be. This one has full-on lemony citrus flavours coupled with hints of spice and gooseberry, making it an ideal companion with seafoods from simple grilled fish fillets to garlicky prawns – or as the Picnic label suggests, for outdoor entertaining with cold chicken or other white meats, salads and sharp cheeses on warmer days. Pay $19 at cellar door for this rewarding drop from the family-owned Howard vineyard and winery at Nairne, the oldest township in the Adelaide Hills. SO rewarding with a slow-roasted shoulder of lamb. NAME says it all for outdoor entertaining with cold chicken, salads and sharp cheeses. "Len Evans would be delighted. His favourite vineyard has been honoured as having produced the grapes for the World's Best New Wine" say Bill and Vicki Widin of Leogate Estate Wines and Brokenback Vineyard. The 2014 International Wine Challenge in London last night awarded the "James Rodgers Trophy for the Best Wine in its First Year of Production" to Leogate Estate's 2011 "The Basin" Reserve Shiraz (RRP $115). When accepting the award in person at the gala dinner, Bill and Vicki Widin attributed the Trophy both to Len Evans' attention to detail in establishing Brokenback Vineyard, and to Mark Woods' superior winemaking skills. "The Basin" had earlier also been awarded the Trophy for the best Hunter Valley Red Wine. 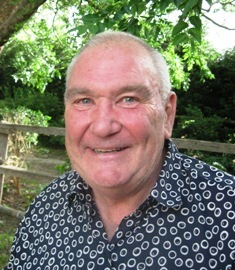 Leogate Estate's Brokenback Vineyard in Pokolbin was one of Len Evans' Rothbury Syndicate vineyards planted in the 1960's. The Shiraz vines all original, and are situated on a low hill with direct east and west facing blocks. A substantial section of the east facing blocks is known locally as "The Basin" and forms somewhat of a natural amphitheatre. The vines there, being protected from much of the Hunter Valley late afternoon summer sun, have developed over the years rather differently from the vines on the west facing blocks - primarily by being more luxuriant in both vine size and canopy. This difference in the vines is entirely environmental, and results in a slightly different berry taste. Leogate Estate's talented winemaker, Mark Woods, to his eternal credit, noticed this difference and for the 2011 harvest decided to keep separate the parcels he selected from each east and west section to be the 2011 Shiraz Reserve wines, naming the two parcels "The Basin" and "Western Slopes". The London judges described the 2011 "The Basin" as "Refined, cool Shiraz style with bright fruit, savoury notes, supple tannins and great drinkability. Lovely freshness on the palate which lifts and lengthens the overall flavour". The judges also described the "Western Slopes", for a Silver Medal, as "Sweet, ripe berries and vanilla on the nose. Peppery, roasted flavours with a concentrated great length and well balanced tannins". James Halliday in his 2014 Australian Wine Companion gave the 2011 "The Basin" 96 points and a cellaring date of 2050, and gave the 2011 "Western Slopes" 97 points and a cellaring date of 2060. Although only recently bottled, Leogate Estate's 2013 "The Basin" and "Western Slopes" Reserve Shiraz are already magnificent drinking and have outstanding cellaring potential. Brokenback Vineyard had a great season for the 2014 vintage, and both wines in barrel look very good at this stage. 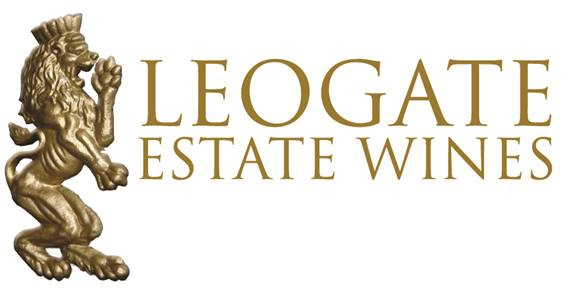 Leogate Estate Wines are distributed in Australia by Estate Wines and available through the Leogate Estate website and Cellar Door. 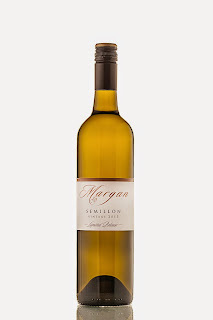 ANDREW Margan has been making wonderful Semillons in what he likes to call "pure Hunter style" for some ten years now, wines that he puts particular effort into for his increasingly-lauded Aged Release range. The latest is a 2013 Limited Release White Label Semillon, that while you can uncap and enjoy in the glass now, is also one to give serious consideration to for celebrating something special down the line, like maybe ringing-in the year 2020 or – the way this wine's looking already, even 2025. 2013 was outstanding for Semillon in the Hunter, and Andrew drew fruit for this one from a single block of old vines that gave huge, fully-ripe flavours with high natural acidity – that acidity being the key to this wine's ageing potential. With lifted citrus on the nose and lovely grassy, lemony flavours now, it's a drop to really enjoy with seafoods while young, but put a few bottles away and watch it develop over the years into a more toasty, honeyed wine with a lemony butteriness. Pay $30, and at that price do also think about putting one aside for ringing-in 2020 – and another for 2025. ONE TO NOTE: ONE who continues to impress with quality wines at affordable toss-'em-down prices is Apple Tree Flat's Peter Logan, and his latest Shiraz, the 2012 is just the drop at this time of year to enjoy around the fire – or, as Shiraz is often said to be 'Australia's national variety,' to think about matching with our other 'national' icon, roast lamb for an ideal Winter's lunch or dinner. Shiraz has long been a stand-out variety in Apple Tree Flat's home region of Mudgee in NSW, and this one is regionally classic with red and dark berry fruit flavours, a touch of earthiness, good acidity and some woody spiciness that doesn't make it overly strong in the oak department. Toss in a price tag of just $13, and you're on a winner with that roast lamb. ENJOY a bottle now with seafood, and put aside a couple for future celebrations. A 'national variety' to enjoy with that other 'national' icon – roast lamb.